Happy weekend! It’s been another week of fun Disney news so let’s jump right in. The 2016 Epcot Food and Wine Festival started on Wednesday, September 14! 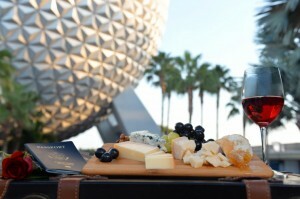 The Food and Wine Festival features more than 30 Marketplace Booths – including a few in Future World for the second year in a row. The Coca-Cola Polar Bear is now greeting guests at the Coca-Cola Store in Disney Springs. Guests will get a 10-minute sneak peek at the new Marvel film ‘Doctor Strange’ beginning October 7 at Disney California Adventure and Disney’s Hollywood Studios. A new Festival of Fantasy dining package is coming to the Magic Kingdom in October. And finally, while Halloween Time might have just started at Disneyland Resort, guests can also start planning for the winter holidays with a new resort deal!